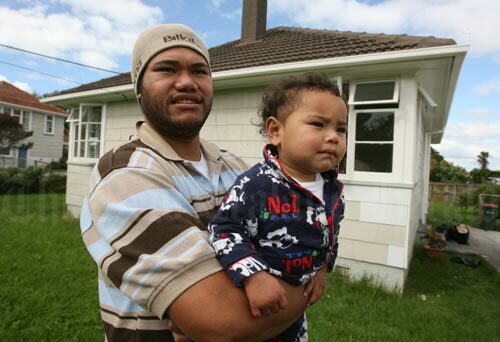 Sione Tongia and his daughter stand outside the Housing New Zealand home where she lives with her mother, in Glen Innes, Auckland, in 2009. Tongia said the condition of the house was very poor. Mould grew on its damaged walls. It was cold and damp, and the back garden was swampy in winter. Things were due to improve. The house was part of a $52-million redevelopment of the area, which would see 150 new and 120 renovated state houses.